German automotive manufacturer Porsche AG is an expert of Sports cars, SUV’s and Sedans. Porsche is working on its first all-electric sedan called Porsche Mission E First. The Mission E First is built on an entirely new platform and designed to compete with Henrik Fisker and Tesla directly. At present, Porsche Mission E First is just a concept. However, Porsche is very optimistic about its distinct future. As internal combustion engines causes emission problems, the future depends on electricity. Thus, the company is taking all the necessary steps to ensure its presence in electric vehicle segment. Like any other Porsche car, engineers are making sure that top quality standards are followed from design to testing. Thus, one can expect an uncompromised performance in every situation. The concept design carries genes of a typical Porsche sports car. The front end of Mission E is flat and resembles to that of Porsche 918 Spyder. The characteristic matrix LED Headlamps give that oomph we always wanted. The height of the car is just 1.3 meters with a seating capacity of four which is really unbeatable. At rear end, the continuous light strip running through its length in black glass finish reaffirms that its a Porsche from every angle. In addition, for the first time in automotive world, a car without rear view mirrors will cruise on roads. In Porsche Mission E First, the position of rear view mirror is taken by cameras. They project the rear view on windshield corners in real time. Augmented safety warnings are also displayed in unison with this projection. The roof line of this car is a typical Porsche style. The monocoque structure and counter opening doors provide better accessibility. The interiors are also spacious. 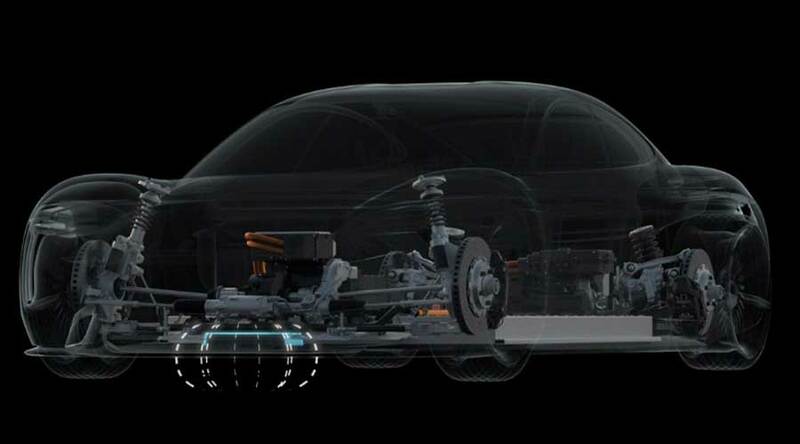 The vehicle is equipped with all electric drive and hence, there is an absence of the transmission tunnel. It concludes in large cabin space with great ambiance. All the four seats are of bucket type which make the passengers feel comfortable. 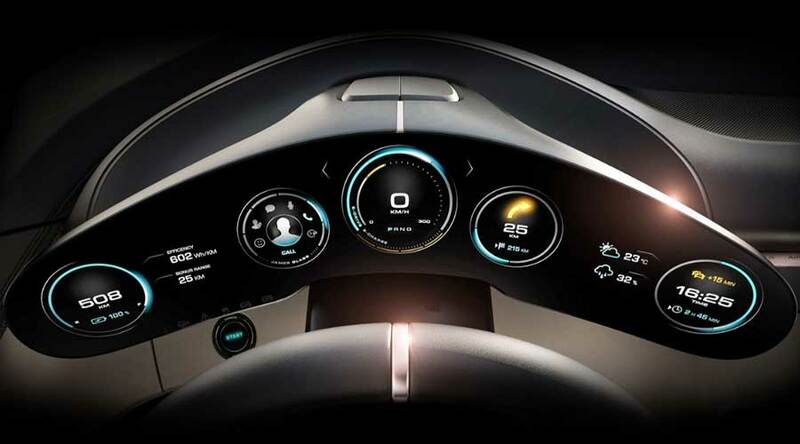 Furthermore, the curved instrument cluster seamlessly connects the real and the virtual worlds. The OLED display further enhances visual appeal. Drivers display is programmable and easily detachable, adding to the convenience. In addition, the dashboard features an eye tracking camera. When the driver activates the instrument menu, it takes just a glance to select desired menu function. Porsche Mission E First: Power like a thunder! The power of the Porsche Mission E First will leave you wonder-struck! The PSM high performance motor gives more than 600 HP power. Thus, it takes less than 3.5 seconds for E first to attain 0 to 100 kmph. Also, it can achieve a top speed of 250 kmph. A 500 km range with 'turbo-charging' is a great relief to owners, which can charge the batteries up to 80% in less than 15 minutes. Additionally, an inductive charging capability helps to charge vehicle wirelessly. Undoubtedly, the auto-world is waiting for the completion of this 'Mission'!! 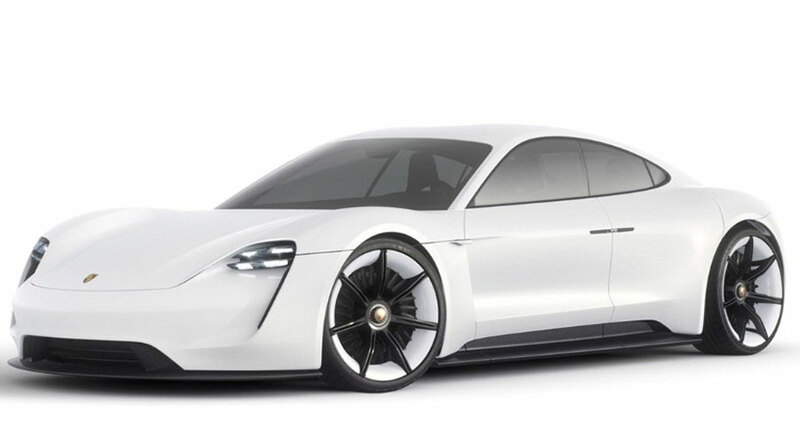 Home » Articles » Will ‘Porsche Mission E First’ take on Henrik Fisker & Tesla?